It’s soup season. You know, cold out and stuff. 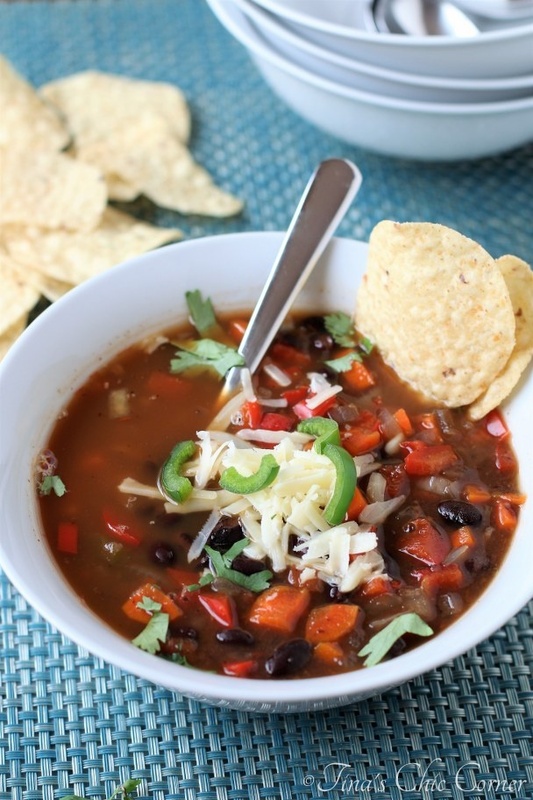 If you’re suffering from a post holiday food coma and you’re tired of being in the kitchen like I am then this bean soup couldn’t come at a better time. 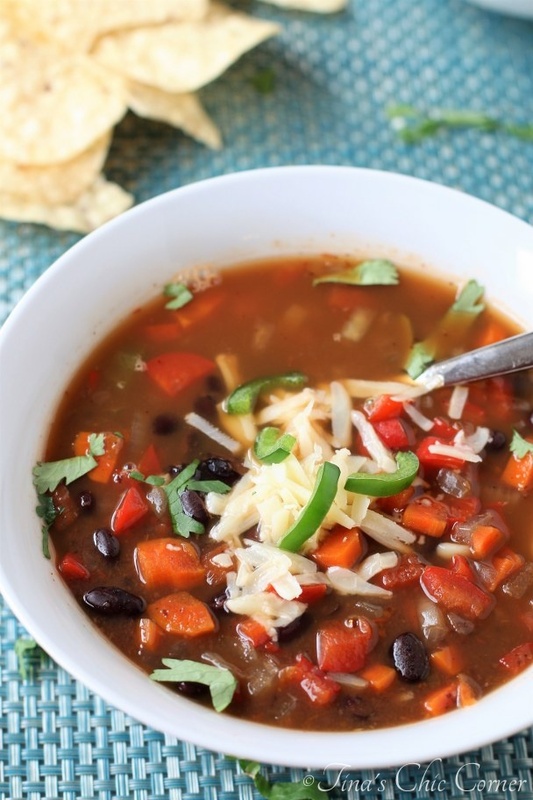 This soup is a great way to get back on track for healthy eating because it’s made of beans and veggies. That’s all healthy stuff all the time. I’ve literally cooked two recipes in our crock pot… ever… split pea soup and now this bean soup. (I’m not including a random honey chicken recipe that I tried a few years ago that obviously never made it to the blog because it was disgusting.) It’s funny that I’ve made soup twice in the past month and both of them are slow cooker recipes. Maybe 2017 will be the year of the slow cooker? All you need to do is rinse some beans, gather some ingredients, cut up some veggies, throw it all into the slow cooker and let it do what slow cookers do. I want to warn you that chopping and prepping does take time. The original recipe said the prep time would be a mere 10 minutes. Let’s just say that I believe that time might be possible for an Iron Chef, but it definitely wasn’t for me. Luckily we had no plans and I wore my pajamas all day when I made this soup, but I wanted to give you a heads up if you want to make this soup before you run out of the house. 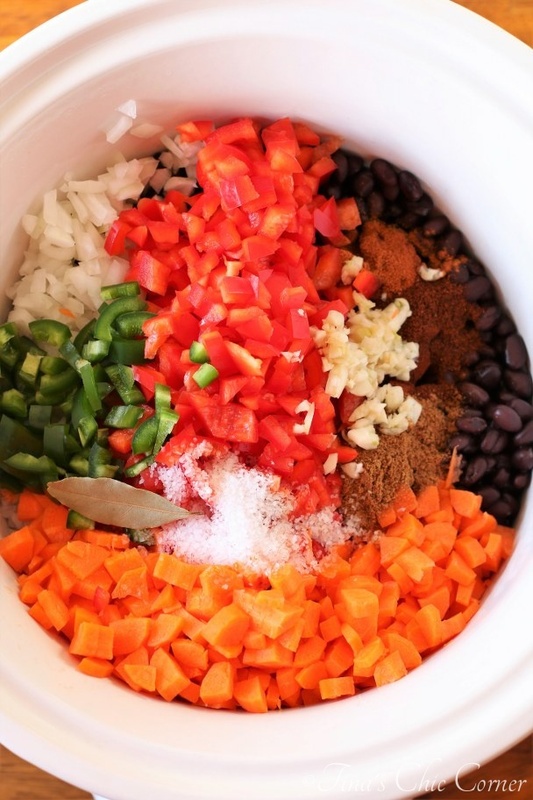 Add all of the ingredients into a slow cooker and stir everything together. Cook it on high for 4 hours or until the vegetables are tender. Remove 2 cups of the soap (chunks and liquid) to a heat friendly container and then use an immersion blender or food processor to puree it. Be sure to get about 2 cups of solids and then spoon in liquid until that is also up to the 2 cup line as well. Pour the pureed soup back into the slow cooker and stir everything together. Another soup to add to the rotation. Thanks Tina! I think that you will love it!